Dr. Sudha Seshadri will be the institute’s founding director and assumed her role on Dec. 1. Ruben A Mesa, MD, welcomed as UT Health SA New Cancer Center Director! University President William L. Henrich, M.D., MACP, welcomed Ruben A. Mesa, M.D., in his new position as UT Health Cancer Center director. CPRIT awards millions to UT Health San Antonio! Cancer prevention programs and initiatives to recruit faculty to UT Health San Antonio got a $3.5 million boost from the Cancer Prevention & Research Institute of Texas (CPRIT). The University of Texas Health Science Center at San Antonio has published its Strategic Vision for fiscal years 2018-2022. Please view the video overview by President Henrich and the document that highlights strategies to further advancements through our missions of education, research, health care and community engagement. National Cancer Institute awards Curiel lab $3.3M! 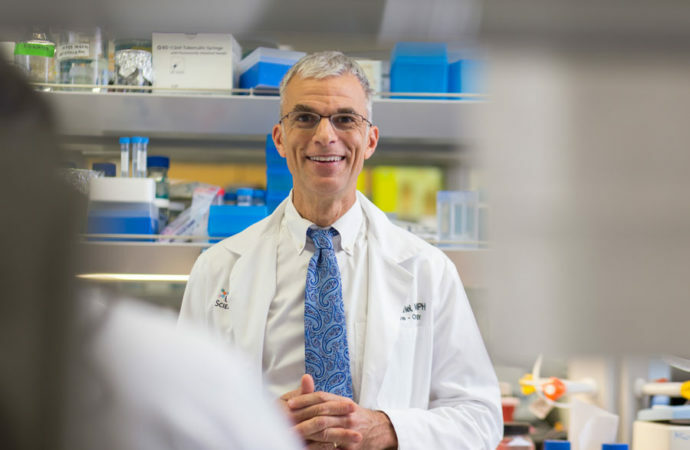 Tyler J. Curiel, M.D., M.P.H., of the Joe R. and Teresa Lozano Long School of Medicine at UT Health San Antonio, has been awarded a five-year, $3.3 million Provocative Questions grant by the National Cancer Institute. Visit the Upcoming Meetings page for more information! do not constitute or imply an endorsement of those sites, their content, or products and services associated with those sites.